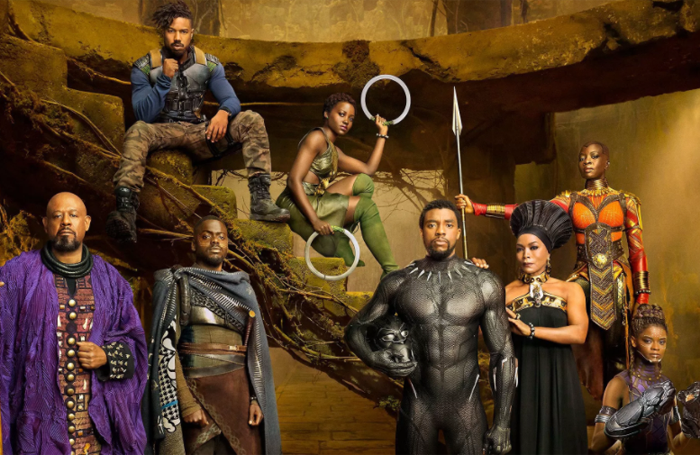 The release of Black Panther recently on the silver screen has made me wonder whether a work of a similar impact in theatre will ever materialise. It seems an impossible aspiration, given the struggle for diversity permeating the industry, but it can’t be a hopeless one. I’ve always said the theatre world is like a microcosm of society; the power structures restricting black folk and others from achieving ambition in the real world are the same systemic structures that exist – and often thrive – under the resplendent veneer of the theatre industry. This hinders diversity and ambition. There’s no specific provision for black, Asian or minority ethnic actors within most funding streams, and I was tired of waiting around for an opportunity to be cast as yet another terrorist, taxi driver or shopkeeper. So I made a shift from actor and theatremaker to co-artistic director of my own theatre company, Tribe Arts. This was a positive step for me, but once it happened, I noticed a side effect. I ceased being known as an actor: the industry can’t seem to acknowledge that an actor might be capable of multiple roles. As artistic director, I quickly realised the lack of collaborators who actually understood the cultural nuances and sensibilities in our work. So, I’ve struggled to bring people on board with an artistic endeavour, not because of their aptitude, but because of their mindsets – they just don’t get it. Gradually, I began to realise there was a new breed of artist, like me, being born in the industry without anyone noticing. Black actors are increasingly becoming producing-actors – performers who are left with no choice but to become the vehicles for their own work, incorporating a sophisticated machine of part-producer, part-writer, part-director and part-marketeer. Most emerging artists have to do this to get their work known, but a black producing-actor has all the same struggles as their white counterpart, with the added bonus of having to justify why they are doing it. If this justification doesn’t fit the flavour of the month, it usually won’t get a moment’s attention, and so black art is habitually seen as being functional to the cogs of the arts industry’s diversity agenda. While being a producing-actor presents its own opportunities, such as taking ownership of the work and its process, it also has its drawbacks. A lack of experience and working yourself thin is top of the list. Nevertheless, I believe producing-actors should be recognised, acknowledged and then advocated for by the wider industry, since in them lies the real answer to the Arts Council’s Creative Case for Diversity. It would result in nurturing black artists that have resilience and reflect true representation on stage. Tribe Arts is one example of a company that is moving forward in this area, but I’m sure there are many others up and down the country that don’t recognise themselves in this way. We need an equitable approach in accommodating their unique role and, once more of us exist, other black artists will suddenly find it easier to attach collaborators to their projects, which in turn will result in more ambitious, developed work. It’s a pity all this still sounds so groundbreaking, but the black producing-actor can be a transformational change of the traditional machine. And while it might not exactly be theatre’s Black Panther, it still looks fierce.